Our skin treatment procedures help to remove those unsightly minor skin irregularities that bother us. 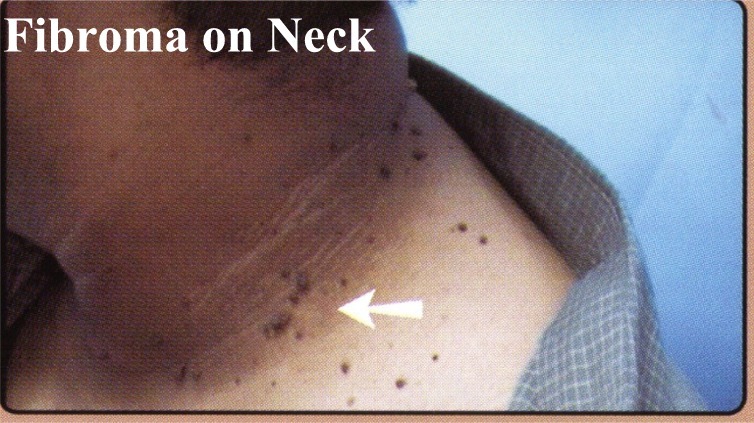 These include whiteheads (milias), blackheads (comedones) fibromas (pigmented epidermal growths), broken capillaries , pimples , blood spots and skin tags that are prevalent on the neck and decollete area. Our technique works on the principle of liquids being attracted to heat which is released by various probes. Treatments are very quick (some within a few seconds), and may not even touch the skin's surface. 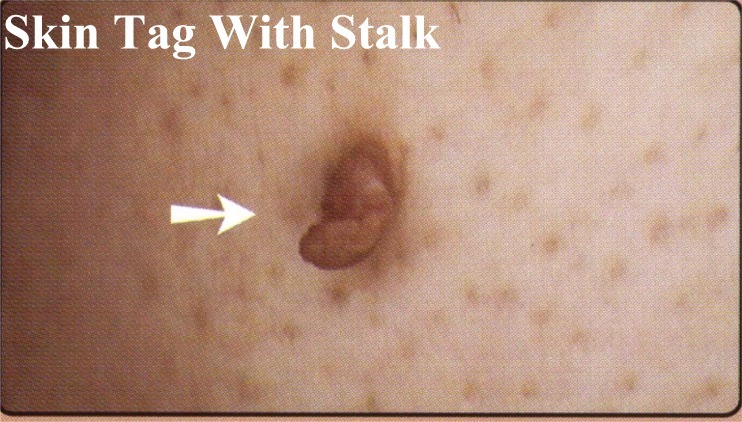 Small skin tags or blood spots disappear immediately and hyperpigmented areas such as liver or "age spots" take only a few seconds. There is minimal discomfort and healing time is short, from a day or two for skin tags to a few weeks for larger skin abnormalities such as fibromas. 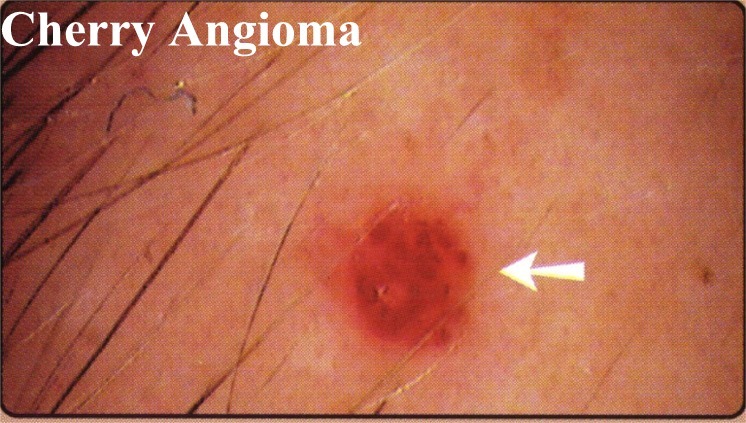 Fibromas are non-malignant tumors composed of fibrous tissue that can be flat or raised. 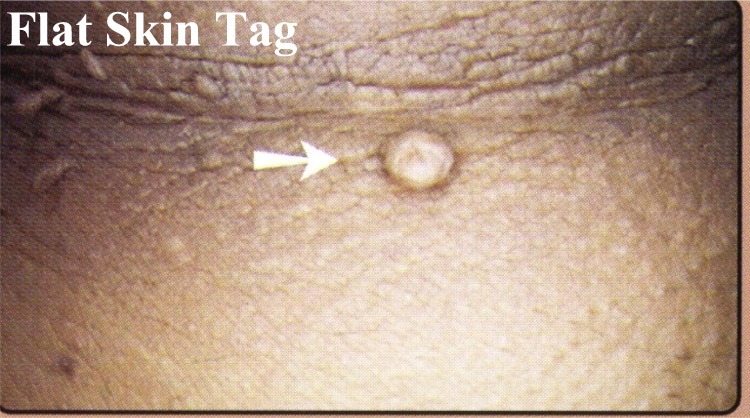 Skin tags are considered small fibromas, and the texture and color of large fibromas are different from normal skins because they are darker in color with a more fibrous texture. 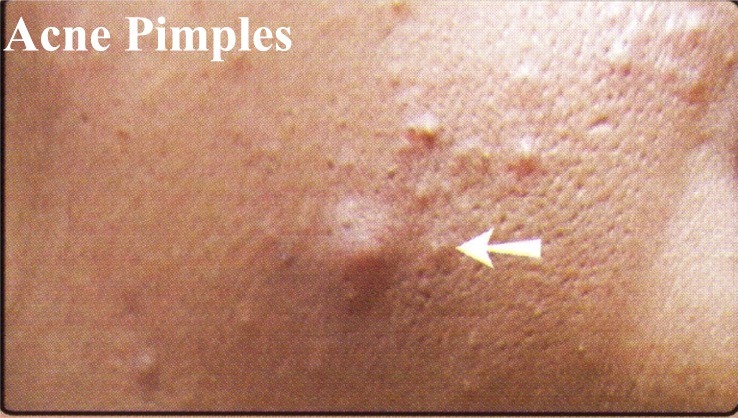 Like their smaller counterparts skin tags, they can be removed easily by cutting off their attachment to the skin's surface. 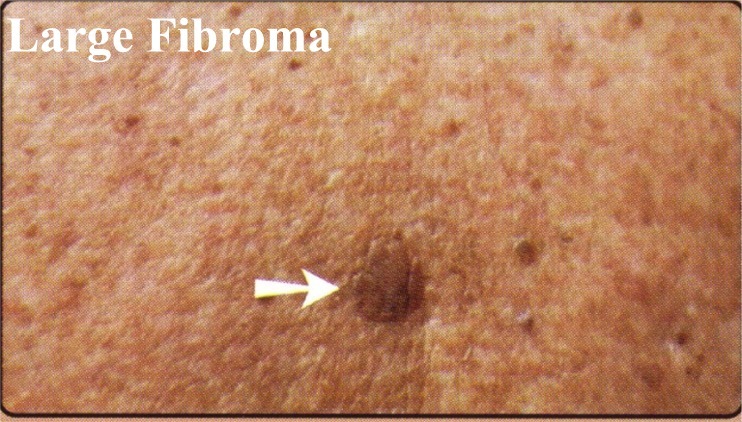 I HAVE A SEVERE CASE OF FIBROMAS, CAN YOU HELP ME? Whether you have a severe or light case of fibromas, we are able to remove it quite easily. 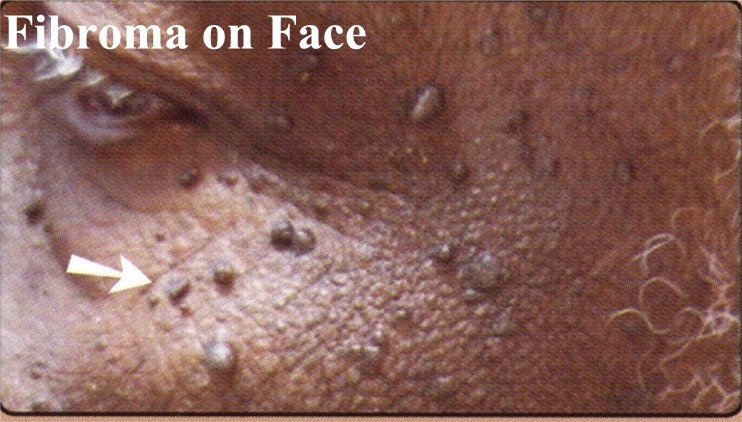 In particular, African-American skin is very susceptible to fibromas, and our technique is an effective treatment for removal with only a couple of treatments. 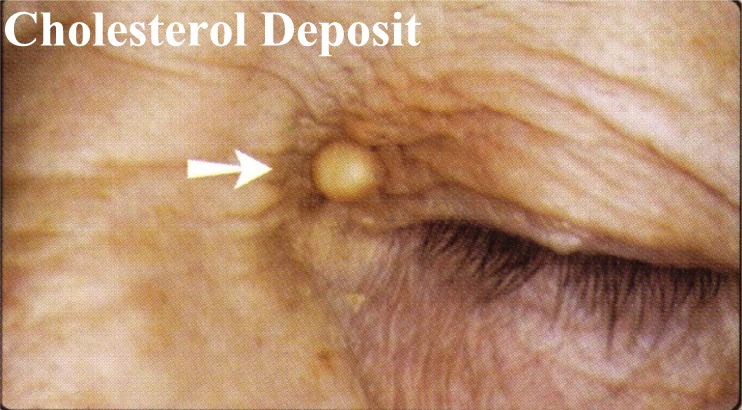 Skin Tags: they appear as tiny pearl drops attached to the skin's surface and proliferate in aging skins, particularly on the skin. They can be removed by simply sealing off the blood very efficiently and quickly. 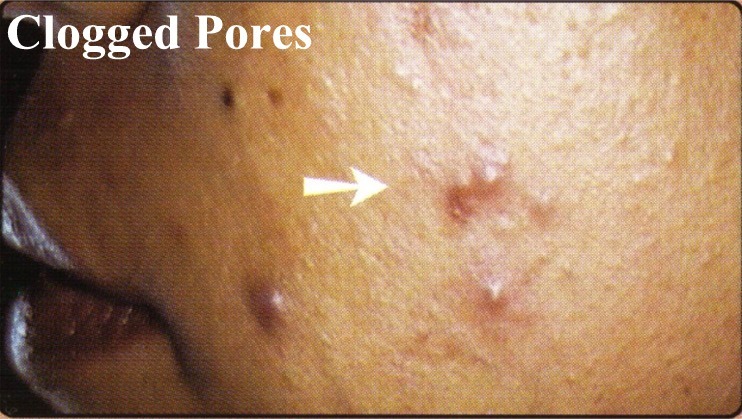 Blackheads/whiteheads: in most cases, blackheads are usually caused by oils in the pores which become oxidized and turn black. 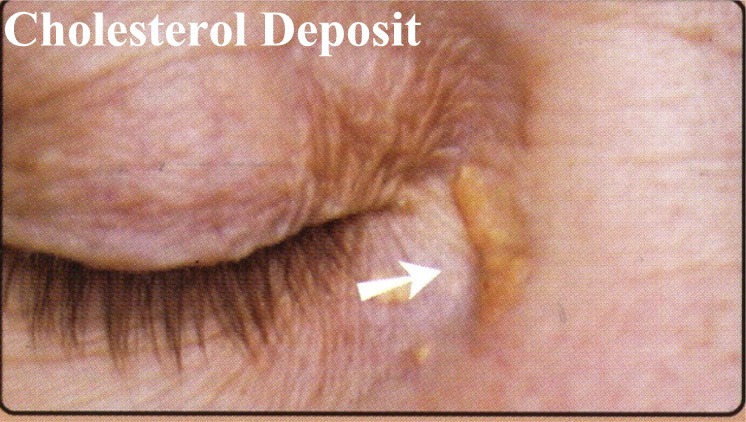 Whiteheads are simply plugs of dead cells that have grown over a pore opening. If there are oils suppressed underneath the dead cells, our technique dries these oils instantly. They are caused by poor skin exfoliation and are found in both oily and dry skins. When found around the eyes, they can be caused by eyeglasses that sit on the skin's surface and encourage accumulation of dead skill cells. Cleaning the eyeglasses and using regular deep cleansing and effective face masks to enhance skin exfoliation will prevent formation of whiteheads. 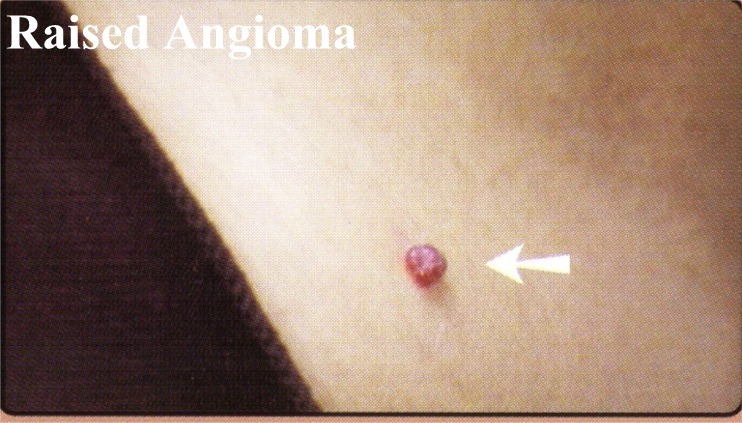 Blood spots(hemangiomas): blood spots can be small or large concentrations of blood which can be flat or raised and they are commonly found on the neck or decollete area. They are believed to be a disorder of the circulatory system and although young adults may have them, they do not place priorities on their removal until they become older. Hyperpigmentation: excess color in comparison to your normal skin color. These include light brown to darker brown or black color. 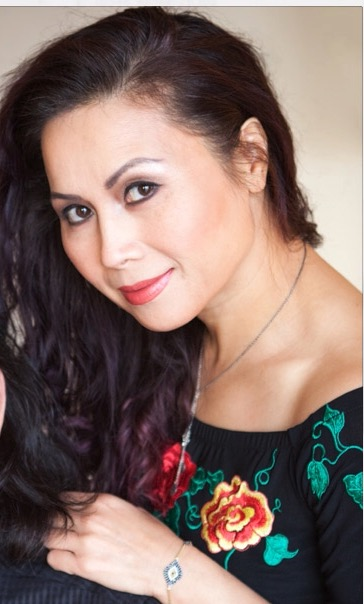 While pigment abnormalities can occur at any age and on any part of the body, they become accelerated in aging due to a breakdown of melanin production. Sun exposure makes the color darker. Melanin is a color pigment found in the skin and gives the skin its normal color for that ethnic group. The most common hyperpigmentation disorders for which people seek treatment are: "liver" spots more commonly called "age spots", or melasma (dark pigment formed from any hormonal changes induced during pregnancy or contraceptive pills). 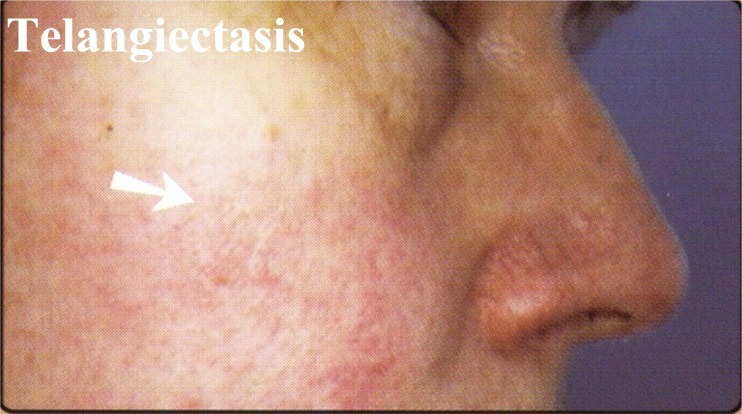 Broken capillaries(telangiectasia): tiny congealed blood vessels are commonly found on the nose, checks and chin, particularly in thin, sensitive skins. Those who suffer from allergies and practice poor lifestyle regime of alcohol, smoking and eating excessive spicy foods are more likely to develop broken capillaries. They can be hereditary and if found on the legs, they can be caused from habitually crossing the legs or wearing very tight stockings or jeans which impairs blood circulation. Broken capillaries are very simple to remove and many of them can be treated in one or more sessions. Larger broken capillaries or vessels on the legs require scelerotherapy, a medical procedure. We treat these skin conditions !!! Click here to see samples of our work from the portfolio !! !